Yet another amyloid-targeting drug has failed to show a clinical effect in Alzheimer's disease - and once again the company behind it is pressing ahead with a study in earlier-stage patients. 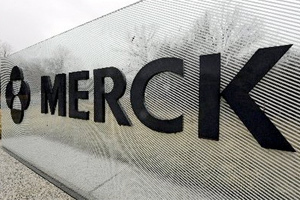 The latest disappointment comes from a phase II/III study of Merck & Co's BACE inhibitor verubecestat, a drug designed to block the formation of the amyloid plaques that are a hallmark of Alzheimer's disease. The EPOCH trial enrolled patients with established mild-to-moderate Alzheimer symptoms and was due to generate primary results later this year and complete fully in 2019. However, an interim look at the data accrued so far by the study's monitoring committee has determined that there was "virtually no chance of finding a positive clinical effect" with verubecestat. Merck (known as MSD outside the US and Canada) is currently leading the race to bring a BACE inhibitor to market, so the failure of the EPOCH trial fires a warning shot across the bows of companies that also have BACE inhibitors in development, including Lilly/AstraZeneca, Eisai/Biogen and Novartis. The list of failed amyloid-targeting drugs in Alzheimer's is extensive, but there have been high hopes that BACE inhibitors could duck the trend as they prevent the formation of plaques while other drugs have focused on breaking them up. Several candidates in the class have been discontinued - including Roche's RG7129, Eli Lilly's LY2886721 and Vitae/Boehringer Ingelheim's BI 1181181 - but have so far been scuppered by toxicity issues. The EPOCH trial results are among the first to point to a lack of efficacy for the class, and analysts at Evercore ISI said in a research note that while BACE inhibitors may still have a role to play in Alzheimer's the finding "will dampen investor enthusiasm for the mechanism”. However, the US drugmaker is not giving up on verubecestat just yet. The data monitoring committee has recommended that a trial in prodromal disease - in other words patients who have mild cognitive symptoms but are not yet considered to have Alzheimer's proper - should continue unchanged. That study - called APECS - got underway in 2013 and is due to generate its first results in 2019, said Merck. The company's head of R&D Roger Perlmutter said that while the results are disappointing there are "inherent, substantial challenges" to developing an effective disease-modifying therapy for people with mild-to-moderate Alzheimer's disease. "Studies such as EPOCH are critical, and we are indebted to the patients in this study and their caregivers. Our work continues with APECS, which is studying verubecestat in people with less advanced disease," he added.